Today I have a guest post by a fellow fin blogger. Enjoy! As parents we want what is best for our children, especially when it comes to their college education. But what many of us struggle with is balancing the need for a great education with a manageable level of student loan debt. The cost of an undergraduate degree is skyrocketing, and with it, the average student loan debt. Most students attend college directly out of high school, and lack the basic knowledge to truly understand what it means to sign a long-term loan. That's why it's so important that parents learn as much as they can about student loan debt, so they can guide their children as they make these critical decisions. Across the U.S., we have more student loan debt than ever before and the number continues to rise. 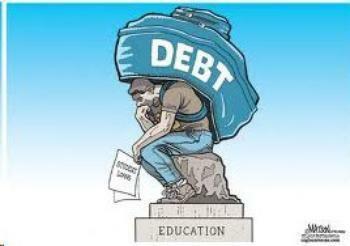 The current outstanding national student loan debt is at 1.4 trillion dollars and growing. Student loan debt is the second highest type of consumer debt behind only mortgages. This number represents all types of student loan debt, including loans for career and technical colleges, undergrad and grad schools. In 2016, the average undergrad walked off the stage with a diploma and over $16K in loan debt. The average debt per borrower was $28,400. This is a 6% increase from 2015. 60% of all college grads will have some student loan debt. Having substantial student loan debt can make it incredibly challenging for your child to start their adult life on firm financial ground. An entry level job currently pays about $35K per year. The average monthly student loan payment is $351, making it difficult to save any money for adults making an entry level salary. This monthly burden also makes it hard for young adults to afford a mortgage, a car, or a nice wedding. A borrower is said to default on his loans when he has not made a payment between 270 and 360 days. The default rate for federal student loans is currently 11.3% and 3% for private student loans. Overall, however, about 40% of student borrowers aren't even making payments which means they either have not started repayment or they already defaulted. The difference between these two numbers is likely due to the greater protections in place for borrowers with federal student loans, such as income-based repayment plans and forbearance, and deferral programs for borrowers facing hardships. Default is a serious concern for anyone with student loans, particularly because this type of debt cannot be discharged in bankruptcy. Talk to your kids about these stats, and make sure they understand what these numbers mean before signing onto major loans. While undergraduate degrees can be costly, graduate and professional degrees tend to be even more expensive. In 2016, the average debt per graduate student was $57,600! Many graduate degrees are necessary for students to work in a particular field, but these fields aren't necessarily financially lucrative. Talk to your son or daughter about options for paying for graduate school other than taking out student loans, such as grants, scholarships, or an employer paying for school. 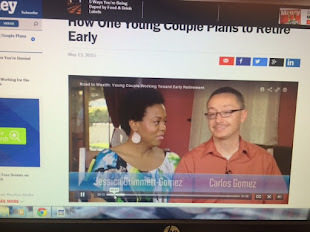 Getting started in their career without significant student loan debt is the main goal. There are two primary options for financing your child's college education: federal and private. The majority of student loans (90%) that are taken out in the U.S. are held by the federal government. These loans offer many benefits over private loans, such as fixed interest rates, generous borrower protections, and potential subsidized interest rates if you qualify. Federal student loans don't require a cosigner, a credit check, or to even be creditworthy. 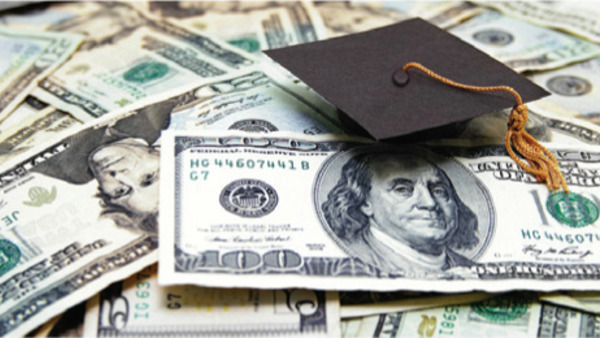 In contrast, private student loans require your child to be creditworthy or have a cosigner to be approved. In most cases (90%), your child will require a cosigner to be approved. If the primary borrower doesn't pay the loan, the cosigner will assume responsibility for the loan. Whenever possible, steer your son or daughter toward federal student loans. While private loans may sometimes offer lower interest rates than federal student loans, as a general rule, federal student loans are considered more student friendly. Taking some time to learn about student loan debt can help you guide your child as he or she makes one of the biggest decisions of their life. While student loan debt may be unavoidable, understanding these basic statistics can help your child make a better choice when it comes to the type and amount of debt that he or she has. Drew Cloud is the Founder and main contributor to the Student Loan Report. After struggling to repay his own student loans, Drew decided to make a site to help keep borrowers up to date on current student loan news. Drew is also a freelance writer who typically writes about student loans, personal finance, and education. I read your blog, Its really awesome, I have also a blog which is related with you, which is about buying a house with cash. If you are running out of sources, then you will need people who can buy your property as fast like house buyers. This allows consumers to maintain a high amount of negotiation power when purchasing a new home. Inside the field of advanced education, one of the critical measurements write your essay for you for gaging the viability of projects is understudy maintenance. Hey, very nice site. I came across this on Google, and I am stoked that I did. I will definitely be coming back here more often. east delhi school Wish I could add to the conversation and bring a bit more to the table, but am just taking in as much info as I can at the moment. Thanks for sharing.